Setting up business in the UAE is easier than anywhere else in the Middle East and North Africa (Mena). According to the World Bank’s Ease of Doing Business 2016 report, the nation ranks 31. With numerous free zones, excellent infrastructure, no taxes, low import duties and a strategic location, the UAE scores far ahead of neighbours such as Bahrain (65), Qatar (68) and Saudi Arabia (82). For instance, it takes only six procedures and eight days to open a company in the UAE, compared to 8.2 procedures and 18.8 days in Mena, and 4.7 and 8.3 worldwide. The report commended how the UAE has reformed contract enforcement, with commercial disputes resolved in 495 days, compared to an average 538 days in high-income OECD economies. However, starting a business here has its own hurdles. GN Focus asked those who have set up companies in recent years about their top challenges. “Admin is the number one thing,” says Rachel McArthur, Managing Editor of Digital Ink, a Dubai-based digital content company in Dubai Silicon Oasis. “There are plenty of how-to guides in the UAE, but realistically, nobody will ever know the steps to setting up a business in the UAE until they have done it themselves. In the initial stages I had to repeat a journey to the client service centre due to not having a certain document, or I hadn’t paid for something. From paid-up capital requirements to mandatory office space and trade licence fees, entrepreneurs need to set aside as much as $10,000 (Dh36,730) in annual costs, depending on the kind of company they are starting. “Compared to our experience in Singapore, the cost of setting up was a big consideration to decide if we should be expanding into this market or not,” says Jaya Maru, a Singaporean and founder of social fitness platform Flabuless, which has an office in Fujairah. “Thankfully it has paid off and we are happy to have strong clients and partners supporting us.” She now has more than 50 clients, ranging from Mashreq bank to InterContinental Hotels. Many companies we spoke to used personal resources or loans from friends and family to start businesses. This is largely because banks in the country have a limited appetite for lending to start-ups, preferring to examine business performance for a couple of years before approving a loan. “Availability of easy loans from banks is a challenge for SMEs in the initial years,” says Navin Navendran, an Indian entrepreneur who started GoLive in 2014. The DMCC-based company creates mobile apps that address an untouched pain point in employees’ or consumers’ lives. 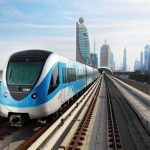 The UAE is one of the “smartest” countries in the world in terms of internet penetration and infrastructure, making it ideal for connected start-ups. However, social media-based businesses, in particular, may face difficulties during the incorporation and licensing stages. That was the case for Alan Devereux, a British national who started Cave Chalk, an Umm Al Quwain-registered company, with his wife a couple of years ago. “One challenge has been the literal sense in which the government works in terms of trade names,” he says. “Trying to explain what a social media company was to secure the trade licence was difficult. In the end the licence name is not the trade name. The UAE’s convenient location as a hub for three continents and good connectivity with the rest of the world make it home to expat professionals from nearly 200 countries. Even so, finding the right team can be difficult. Although every licensing authority has a website, with detailed information about incorporation, fees and regulations, some entrepreneurs say this could be simplified. “There is a lack of clarity of the set-up process,” says Jaya Maru, a 33-year-old Singaporean, who founded Flabuless FZE, a social fitness platform is incorporated in Fujairah. “To start a business, one would obviously try to do things themselves to minimise the initial investment before you realise there is a viable market for your services and establish a cash flow cycle. Girish Narayanan, the 46-year-old Founder and Managing Director of Granteq, a distributor of integrated AV, Control and IT technologies, was able to get angel investors to fund his Indian company’s expansion into the Middle East in 2013. “Being a start-up, we had to find our own money to establish and then create a sustainable business model,” he says. Living in Dubai can be expensive without a paycheck. Those starting businesses without external investment will therefore need to have enough in the bank to support their lifestyle for up to a year. “Time is a bigger currency than money when working for oneself. If an entrepreneur decides to spend nine months building an app, it equals nine months on nothing and nine months for your competitors to either catch up or pull away,” says Ben Walton, 33, the co-founder of Styck, a fitness app and step tracker that rewards users for reaching specific goals. The company is licensed by Creative Zone in Dubai, with a trade licence from Fujairah Creative City. “We chose to build our first app in a mere four weeks, release it and iterate it from there. This also enabled us to adapt what we were building to how our customers were using our product, rather than making many too many assumptions,” he adds. 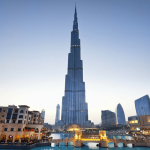 The UAE’s relatively small population base requires that large businesses operate across borders. However, commercial opportunities in one country may not be the same as in another. Anand Kapoor the 42-year-old Indian Founder and Vice-Chairman of Midcom, runs businesses in the UAE and Africa. His DMCC-based company spans four verticals from distributing mobile handsets to consumer electronics, dairy and education. “Diversify to avoid dependencies on one industry or geography, and never chase money. Instead look to build sustainable businesses to reward yourself in the long run,” he advises. 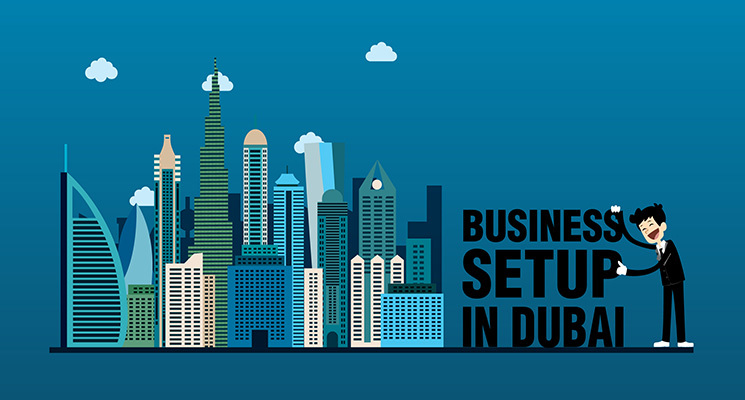 Doing business in the UAE may be different from your home market for a variety of reasons. The county’s Islamic values underpin everything from its legal systems to working life, and entrepreneurs will need to consider these. “When I launched, it was the summer/ Ramadan period and I was shocked to learn that people were away for a few months for holiday,” says Maru. In many industries, being first to market with a new product or service differential can make a significant impact on the corporate bottom line. However, the UAE’s culture of innovation is only just beginning to take off. Staying on top of tech trends and educating the audience here is a challenge, says Hudson. “The USA and Europe have always been ahead in the world of tech. When you offer a product that can be used globally as we do – it is hard to always be on top of your game and be cutting edge. We overcome this by attending events across USA and europe frequently throughout the year,” he says. With people from different parts of the world bringing their own beliefs and value systems with them, sticking to your guns can be hard. The rules for doing business in your home country don’t apply here – and may not apply in your peers’ home countries either. “Never forget your ethics,” advises McArthur. “In the short time Digital Ink has been around, we’ve had numerous encounters where certain individuals/ companies pretended they wanted to partner with us, when in reality all they wanted was to find out how to take our business.